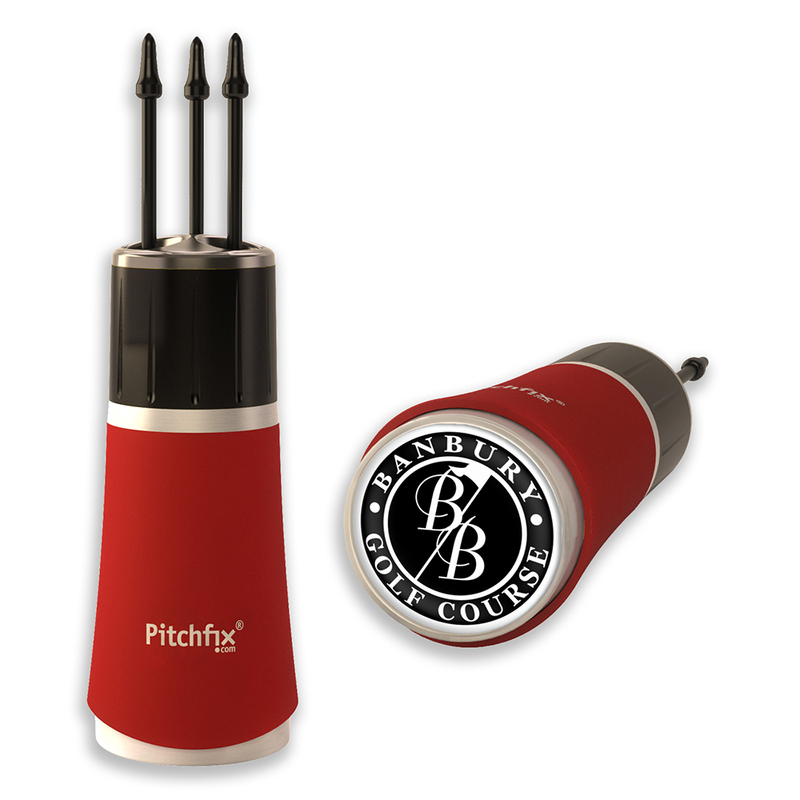 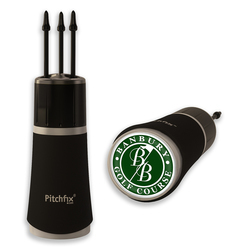 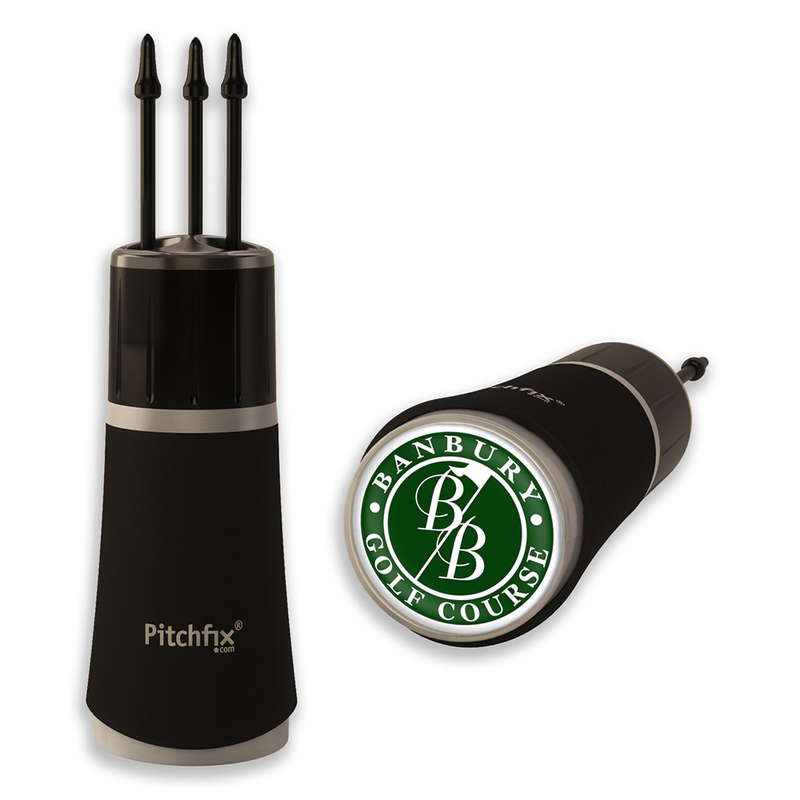 The revolutionary Pitchfix Twister 2.0 Golf Divot Fixer Repair Tool. 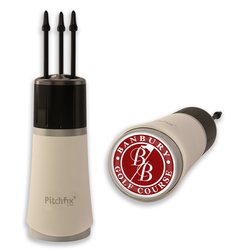 Patented 3-prong divot pin technology results in faster divot repairs that won't damage grass root structures. Preferred by greens keepers. 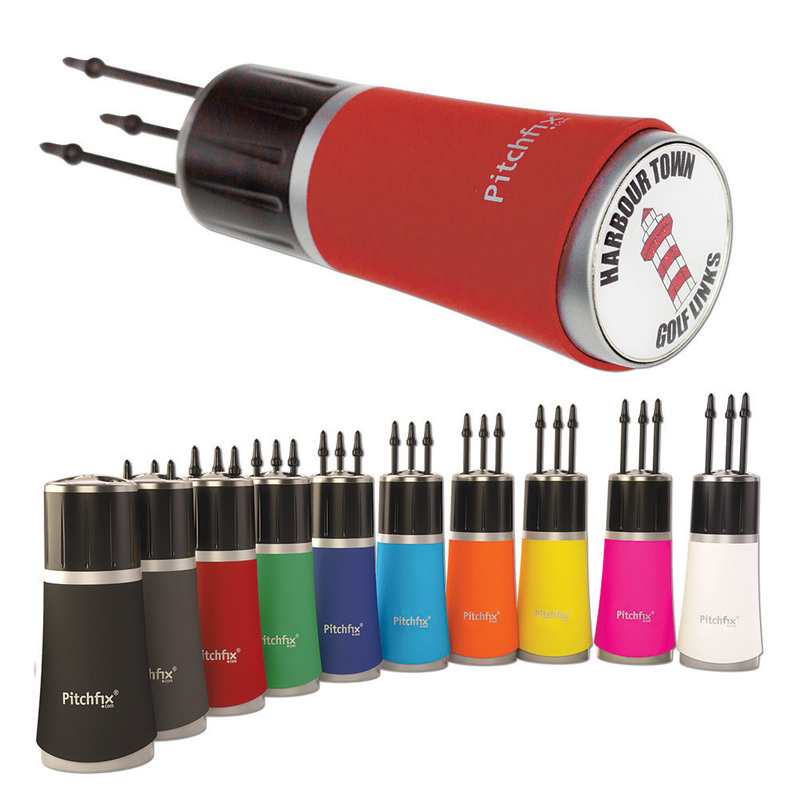 ABS rubberized body with black high density ABS pins. 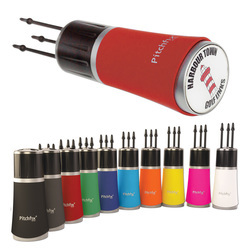 Choose from 10 vivid color combinations. Includes full color removable ball marker with poly dome. Enhanced packaging and presentation options also available to suit your golf tournament, outing, sponsorship or promotion.